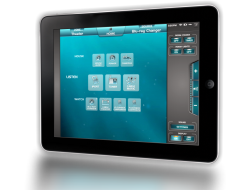 iPad based Home Automation and Control solution. We do all the programming so you can focus on everything else. Home Rocket systems work the same from project-to-project for rock-solid, reproducible results. Eliminate unknowns from the sales process and establish expectations up-front, Easily demonstrate the user interface to clients before they buy. Fixed programming cost protect your profit margins: Cost is based on capabilities not hours required. Future updates and changes are done quickly and easy. Upgrading a TV or DVD player takes minutes not hours. Cost effective reliability with lower hardware costs. Uses inexpensive network control hardware rather than expensive processor-based control hardware. 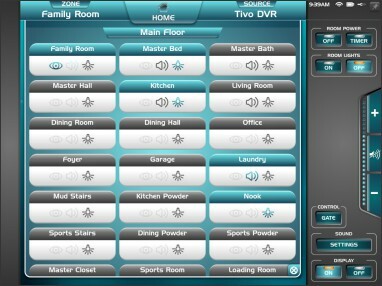 Can control multiple homes from a single easy-to-use, consistent interface. No need for clients to re-learn a different interface. Powerful control from anywhere. 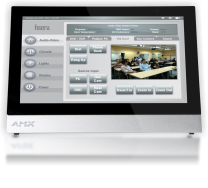 Monitor secuirty cameras, adjust climate zones, turn lights on and off, and more. 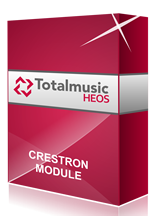 A true control powerhouse, Home Rocket boasts all the extensive control features and reliability of the expensive high-end hardware based systems, at a fraction of the cost. Controlling two or more homes is easy and convenient with Home Rocket’s Multi-Home Control capability. Simply touch the location button at the top of the screen, then select from any of multiple locations. In just seconds the Home Rocket seamlessly loads the appropriate configuration and updates zone status and current states of any controlled systems and devices including climate settings, lighting and shades, audio and video zone status and more. Any iPad running the Home Rocket app has all the brains and power needed to control everything in the home. Additionally, Home Rocket Server constantly monitors device and sub-system status even while iPads are off-line or not running the Home Rocket app. Home Rocket Server also provides quick connect-ability when controlling the home remotely, as well as constant system monitoring and diagnostics. 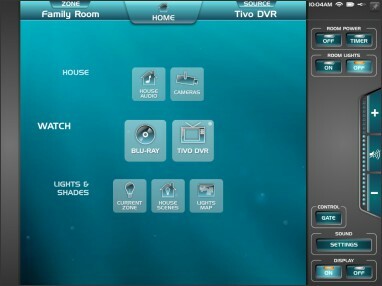 If you know of a controllable home A/V component, brand or subsystem, chances are Home Rocket can control it. Home Rocket can also adapt quickly to your favorite automation product mix. Below is just a sample of the brands and products that are compatible with Home Rocket. If you don’t see your product, please give us a call, or email us at info@rocketgui.com. 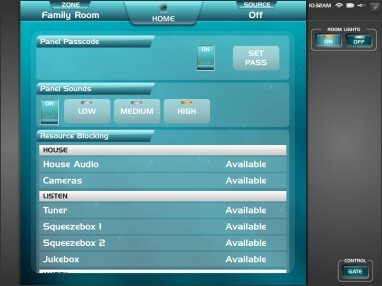 Home Rocket is compatible and works in coordination with many brands of Wall Keypads and Handheld Remote Controls such as those manufactured by Lutron, URC, RTI and more. Please call for additional information about compatibility with other interface types. Home Rocket is sold exclusively through authorized Home Rocket dealers. If you are an experienced home automation/integration company and interested in becoming a dealer, please call us at 509-624-4700, or email info@rocketgui.com. As a custom integrator and a business owner, taking on a new control platform is not a decision made without deep consideration and a clear understanding of all capabilities and limitations. Most dealers find that the transition to Home Rocket is relatively easy and straightforward compared to other leading platforms and the development team at RocketGUI is here to ensure your projects go as smooth as possible. If you have a project in mind, or would like to discuss how Home Rocket can make help you provide a better solution for your customers, please give us a call. The ever-present “Home” button always takes you to the Home Menu, the center point of Home Rocket’s easy navigation. From here you can quickly get to where you want to go. 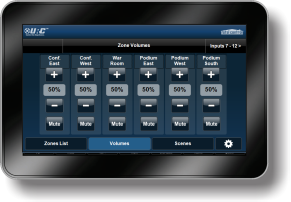 The currently selected zone is always displayed, as well as what audio or video source is currently active in the zone. Touching the “Zone” button on the top-bar brings up a scrollable list of all the zones in the home, organized by floor or major area. From the Zone menu you can see what primary control functions are available in each Zone and if lights, displays, or audio are currently on. Pressing any Zone button switches the control “focus” to that respective zone. 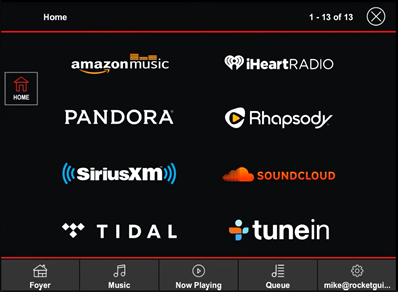 With Home Rocket you can always control each room’s audio individually, but the House Audio page gives you complete visibility and control of all audio zones in your home from one powerful view. 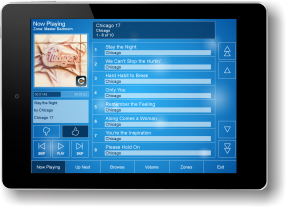 Simply select which rooms or zones you want to hear music in, then control their volumes individually, or together. 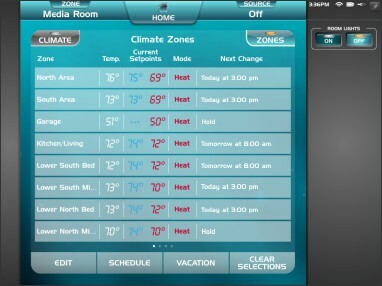 Monitoring and controlling Climate Zone settings while home or away is easy with Home Rocket. Select a Climate Zone, see the current temperature and program heat and cool set-points. 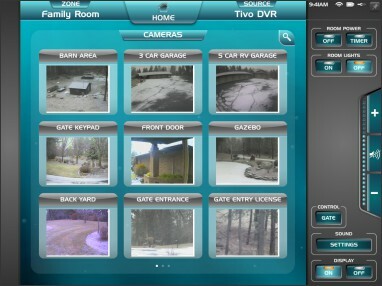 View your security cameras anytime while home or away. See status of all house lights and shades organized by zone. 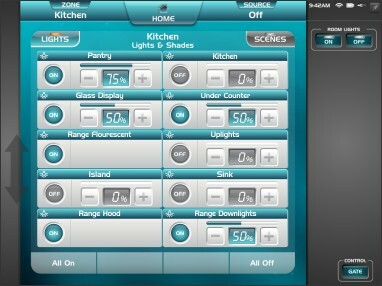 Turn lights on or off, adjust dimmer levels and recall programmed scenes. 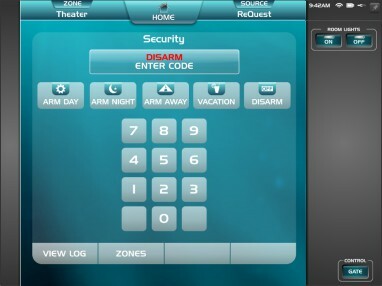 Arm and disarm your security system while home, or away. 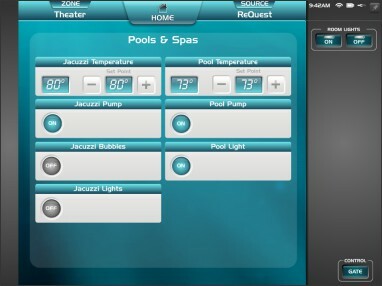 Monitor and control Pool & Spa temperature and functions. 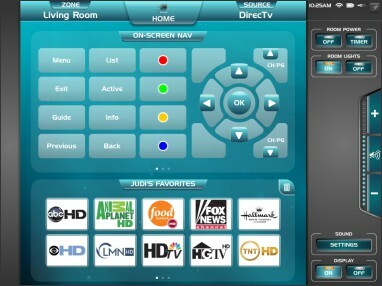 Powerful control of Cable TV and Satellite TV. User-programmable favorites provide quick access to frequently watched channels. 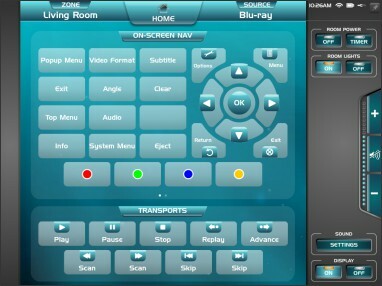 Controlling video source devices like Bluray, DVD, and Streaming Video sources couldn’t be easier. 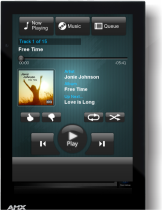 Browse and play music from many streaming music services as well as from your hard-drive stored collection. Listen in any music zone or combination of zones. The Settings screen gives you advanced control over the Home Rocket user experience. 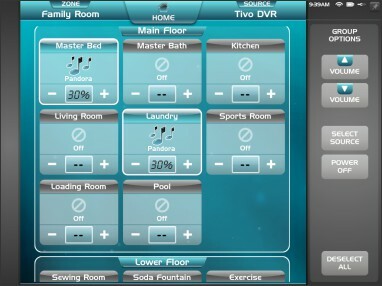 Parental Control level resource blocking lets you control which panels have access to various house functions and controlled devices.